Bertha Oliva, co-founder and director of the Honduran human rights organization COFADEH, has been defending human rights and fighting for justice for historic and ongoing abuses in the Central American country for over three decades. COFADEH formed to search and demand justice for the victims of forced disappearance at the hands of the CIA-trained secret military unit known as Battalion 316 in the 1980s. Its scope broadened over the years and the organization has played a key role in documenting and denouncing human rights abuses, particularly since the 2009 U.S.-backed military coup plunged the country into a new human rights calamity. 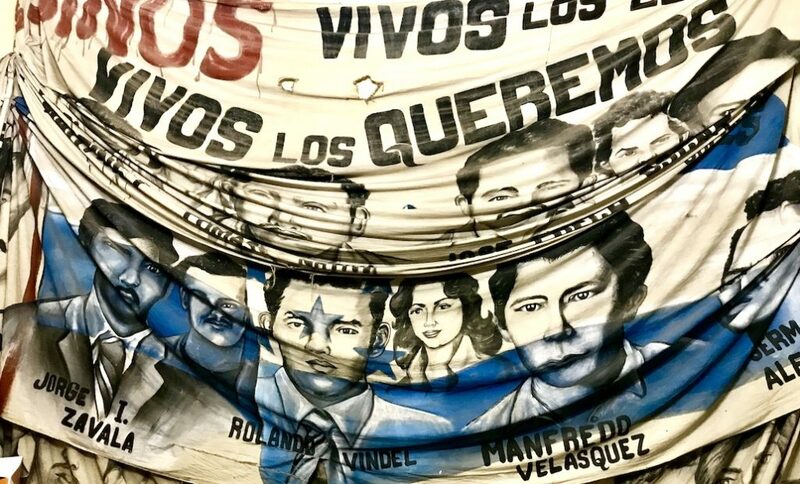 As Honduras sinks deeper into its worst crisis since 2009 with cries of electoral fraud, a military curfew, and fears of a slide toward dictatorship, Oliva speaks about the state of human rights and the anti-democratic maneuvers that have set the stage the current crackdown. There have been many recent cases of police and military repression. Are Hondurans going to live another June 28 with grave violations of human rights like was lived after the 2009 coup? The crisis has been deepening in such a way that today it has become unsustainable — the vulnerability, fragility, defenselessness in which human rights defenders work. Added to that is the systematic violation that has been generated and is part of state policy that was implemented and that we have felt since 2009 coup. The levels of impunity in the country are like never before. The military coup deepened this level of impunity. Then there was the approach of the international community, the governments, to the coup … that recognized months later the government that also was born as a result of the coup. 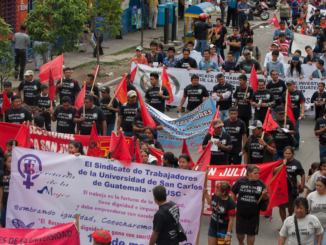 Human rights in Honduras keep plummeting because there is no institutionality in the country. We have seen how from the different powers of the state, in this case the executive, all kinds of maneuvers were done to continue consolidating an anti-democratic systemic disguised in legality. Meaning they weren’t committing any arbitrariness, and that is what they sold to the world — that arbitrariness wasn’t being committed, nor brutality, nor human rights violations, nor persecution of human rights defenders, because the state could allege that the events that happened were isolated events and that it was within the law. This is called legalizing human rights violations. We have always denounced this. 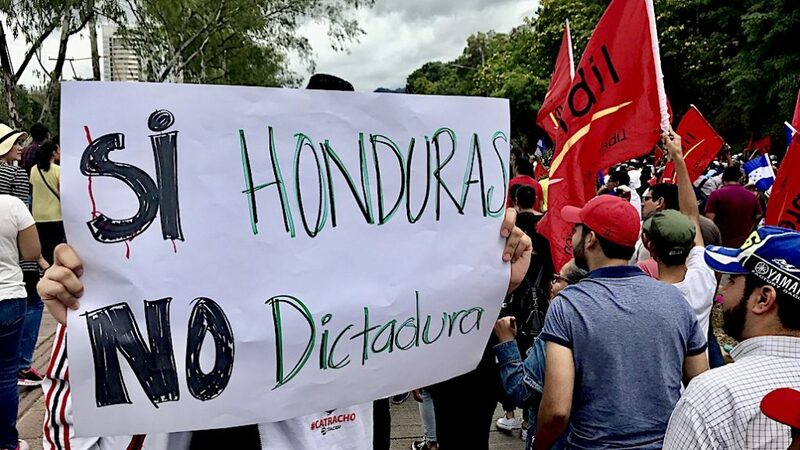 The gravity of what Honduras has fallen into is going to be very difficult to return to a normal human rights situation. If the current president extends his mandate the issue of human rights is going to be an achilles heel. And we will be condemned to live in a full dictatorship. We see how the dictatorship is being consolidated. On one hand, he has absolute control of all of the institutions of the state. On the other hand, he has created and strengthened military forces. Instead of having schools, instead of having medical centers, instead of securing work and healthcare, what you have is more military units, more soldiers in the battalions, with very sophisticated weapons to fight as if we were in war. What we have also seen is (the creation of) detention centers, prisons, as well as other penitentiaries we call permanent torture centers. The people are in the streets because they can’t take it anymore. Because they denied people their rights. We are aware that this is not going to end tomorrow. Declaring who is the winner and who is the loser (in the election) won’t resolve the problem because the crisis is installed. Impunity and militarization are established in the country and there are no immediate proposals to assume shared responsibility for a new social pact. We knew that something unusual would happen after the election. But I didn’t know that this nerve and contempt for the intelligence of the citizens would reach the level it has reached now. We would like to make a call to the international community to accompany us in not accepting what they want to illegally and arbitrarily force us to accept. We are in the worst crisis any government could put us in. In the media, have been saying that those in the streets are vandals and what they have done are crimes. I say that what is in the streets is dignity and indignation of people that have been driven to this point. That there have been attacks against private goods and property answers back to the government and the state should investigate who from their teams assigned this task of creating vandalism to discredit the people’s protest in the media. We know that Hernandez’s continuing rule is fraud. We made a proposal of how to get out of the crisis. 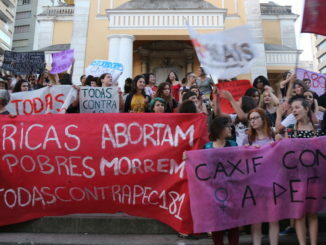 It hasn’t been taken into consideration because they don’t want to resolve the crisis. On the contrary, they want increase the crisis. They are increasing by doing barbarian acts in places where the people are demonstrating to take away credibility and support from the people protesting. In terms of human rights the country is in an emergency and living more than critical times. We have lost everything. What I can assure is that we are going to continue doing the work of defense and accompaniment of the population whose human rights are being violated and of course we are going to unequivocal in accompanying and defending human rights defenders. Today human rights defenders have become like the communists of the 1980s. Those who thought freely were painted as communists and anti-social. Today the ones with that title are human rights defenders who do work together with the people being torn up by the systematic violations of the rights. The police forces are much more militarized than in 2009 during the coup with the creation, for example, of the military police in 2013, the TIGRES in 2013, and FUSINA in 2014. How does this reality change the human rights situation in times of democratic crisis like is being experienced right now? We have always denounced how these new military units have been created and expanded and we always demanded to know why. Logically, the more militarized the population is, the more violation of human rights there are. He was preparing to attack a nation that resists. This quantity of soldiers was sold to the people to create security, but they themselves created insecurity. This is one of the most violent countries in the world. This is one of the poorest countries in the world. In their strategy they weren’t thinking for four years but to be in power for 20 or 25 years. 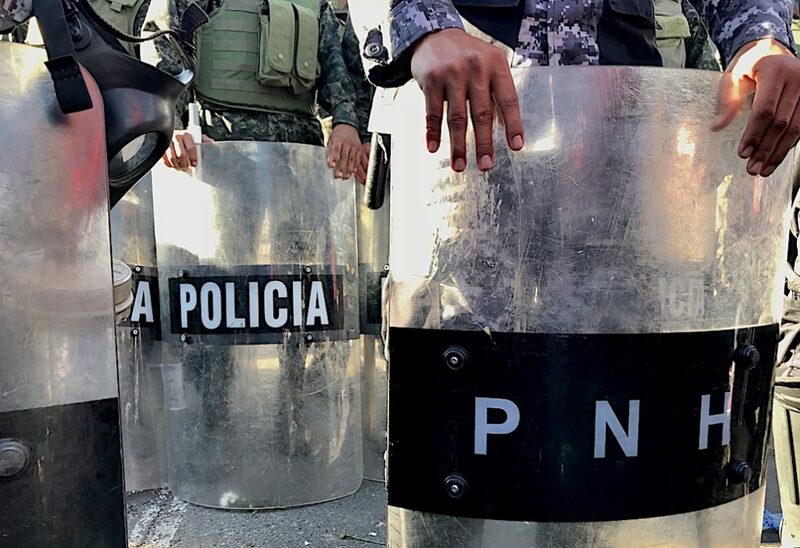 The only way they could achieve stability of the state in Honduras was to create all these new military forces like the military police, FUSINA — I think it’s seven military forces that have been created. Then, with the purging that happened in the Ministry of Security under the pretext of purging the police because there were bad officers linked to organized crime and drug trafficking, what they wanted was to get rid of the police that weren’t linked to their cartel. We are living a situation run by drug cartels. The Honduran government’s ties to drug trafficking are more than evident and are public knowledge. We strongly denounced the creation of so many military units and we knew it was giving too much power. We saw how the budget was going to the armed forces and the health and education budgets were reduced. Now we can confirm why this was done, in order to attack those protesting and suffering rights violations, and right now that’s the majority. Speaking people in the streets, it is clear than Hondurans are fed up and that they are going to continue resisting. Recently, Congress approved Article 590 of the penal code, which criminalizes social protest. Is there concern that this article will be applied in the context of these protests to contain the outrage Hondurans are expressing? The anti-terrorism law, as it is known, is indeed in the new penal code. They are going to want to apply it, but it is not law. We are living in a country without laws, rather it is a dictatorship. It is enough to make everyone believe that in the new penal code there is the legal framework of terrorist persecution. This is clear. And people know it. The chief of the armed forces, security minister, and defense minister already said that basically the law of this article will apply. They said that yes the people have the right to demonstrate and protest but not violent protest and so they more or less said they are going to apply this article. We have withstood so many actions that have trampled this country. We bore with pain and dignity the murder of Berta Cáceres. We have withstood living permanently ever more watched by the military in this country. And international organizations tell us they can’t do anything. But they not only talked about those they found and detained in the streets. They also said they would apply it to the intellectual authors. I would like them to say who the intellectuals authors are because I would have liked them to apply the anti-terrorism article to the intellectual authors of the assassination of Berta Caceres and to the advisors of the current president who threatens the rule of law and the Honduran nation. This is what I would like to see. But the law is being applied to the people who make demands, not the people to violate human rights. I ask people not to see those who are in the streets as terrorists. These are people who are outraged. These are also people who are disrespected, and so much lack of respect made them angry, and they are people with dignity. Those who got involved to create chaos is another issue. We withstood the military coup. Months later the international community decided to recognize a coup government. They violated the constitution again when this president did a coup against the constitution branch [of the Supreme Court]. We have withstood so many actions that have trampled this country. We bore with pain and dignity the murder of Berta Cáceres. We have withstood living permanently ever more watched by the military in this country. And international organizations tell us they can’t do anything. Everyone knows what is happening but nobody wants to confront what must be confronted. 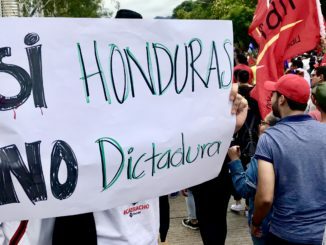 Clearly in these past years Honduras has been living a serious human rights situation. Beyond the current situation of insecurity and uncertainty that has created conducive conditions for human rights violations to occur, what is at stake in this election in the realm of human rights? Everything is at stake. On one hand freedoms are at stake, on the other hand life is at stake. Those with interests just have to decide what their interests are, what geopolitics are in play, and what they want to impose on us. This isn’t just a problem for Honduras. It is a problem at the continental level where the empire wants to place its whims to subdue neighboring countries from here. Geopolitics is a human rights issue. Seeing the articulations there are between the neoliberal model, or those who defend the neoliberal model, [and human rights], it is very clear that we risk everything and that it also economic. They disguise economics with politics. Here the issue of investments that can control other neighboring countries is disguised as development cities (ZEDEs). Militarization isn’t only to subdue the people at this time of turning into a dictatorship. They want to make Honduras a tax haven. 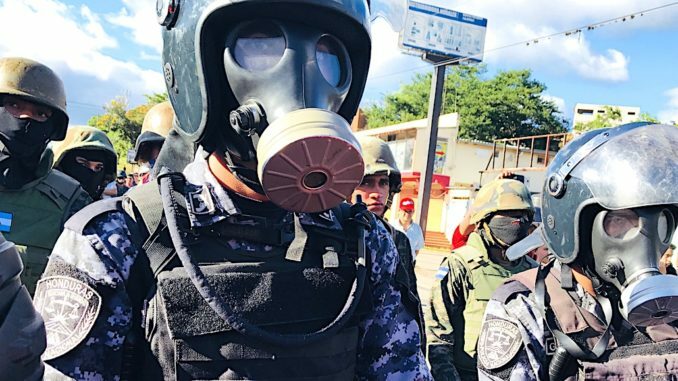 I’m convinced that what is happening in Honduras is not an isolated event. If the military coup works for them here and they manage to consolidate in the way they are consolidating, this will applied in neighboring countries. And that will make investment from neoliberal businesses and sooner or later illicit businesses move forward. Here in Honduras the number of murders we have seen, worse than places in war, isn’t because of crazy or bloodthirsty people. This responds to an organized logic with the aim of sewing terror so that the people decide to leave their communities to save their lives. It’s a project of death. I think the system is collapsing and the worst kick a beast gives as its dying is the collapse and that’s why it is so strong at the regional level. But that may just to console myself by thinking this is all going to end. It may be just beginning and are we may just be beginning to be aware of what this model means. I think there is a fascist bet on the continent. Where do they want to take us? Dispossession. Dispossession not only of land but of dignity. This interview has been edited for length and clarity. ?